is rated 3.3 out of 5 by 11. MIXIT↑™ Metallic Home Charger is rated 3.3 out of 5 by 11. 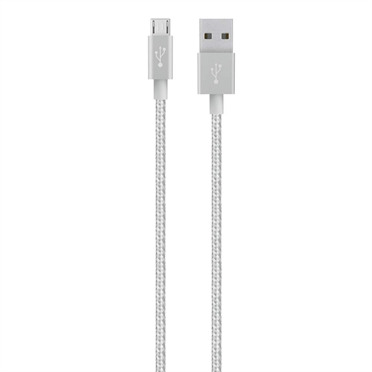 The MIXIT↑™ Metallic Home Charger offers fast, convenient charging for smartphones, tablets, and any other device that charges via USB cable. This charger plugs directly into your AC wall socket, so you'll always be within reach of a quick battery boost. You'll be able to charge your devices without having to connect them to a computer or bulky docking port. The MIXIT↑™ Metallic Home Charger always delivers the maximum amount of power required to charge your device--up to 2.4 amps. This means you'll be able to charge your device up to 40 percent faster, saving you hours of charge time. For example, the charger can take an iPad 4th-generation tablet from zero to 100 percent charge in just 6.2 hours, compared to 10.3 hours with a regular 5-watt charger. 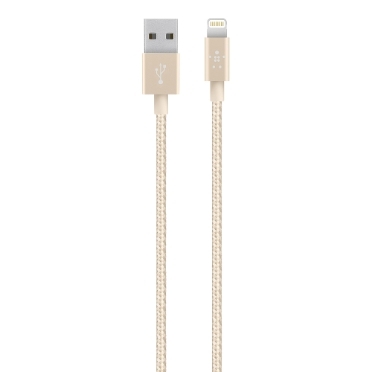 Thanks to its versatile Ti chipset, the MIXIT↑™ Metallic Home Charger is compatible with nearly any device that charges via USB cable (sold separately). The chipset automatically recognizes devices when they're plugged in, so you'll be able to begin charging without any setup. 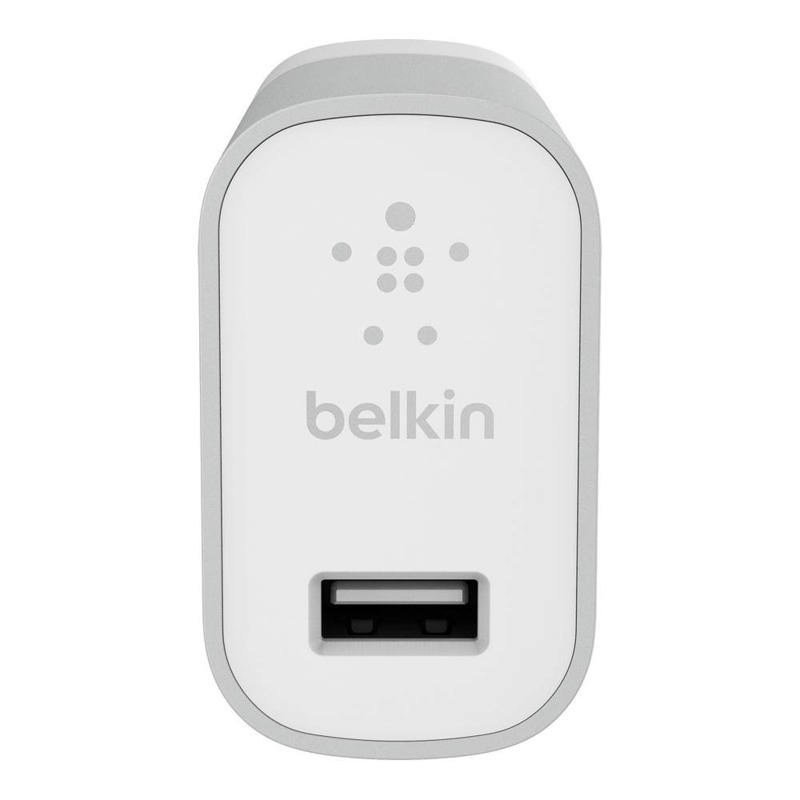 This charger is also protected by a Belkin Connected Equipment Warranty. If your device is damaged by an electrical charge while properly connected to the charger, Belkin will repair or replace it up to a value of $2,500. Rated 2 out of 5 by acoleen from Not worth the money. I bought this charger less than a year ago, and it just suddenly stopped working! While it was working, it was a fast charger, but I would never purchase this again because it died so quickly. Rated 5 out of 5 by JP77 from Superlative, well-designed product Well up to Belkin's high standards, and with every penny, in that it allays all concerns about iPhone versus iPad input voltage requirements, something other members of my household are blissfully ignorant of. Kudos, Belkin?? Rated 1 out of 5 by OldDogNeutrix from I would have expected better quality for the price I have had this charger for less than a year and it suddenly quit working. I paid 30.00 for this charger expecting that it was going to last at least as long as my iPhone. 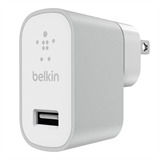 Belkin usually makes good products but I would be hesitant to replace it with the same device. Rated 3 out of 5 by erusseestelinya from Great idea, dropped the ball on the travel plug The adapter itself is great, and I was especially delighted by the design which allows travelers to swap out the plug portion itself for international plug types. 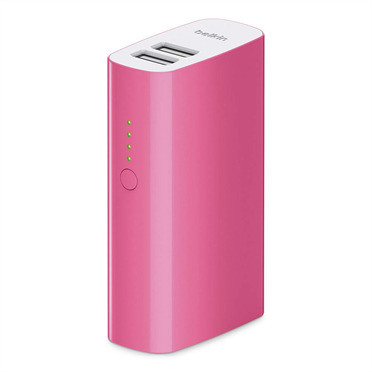 No need to carry multiple chargers, just the small interchangeable back portions! Major problem: I can't find the international plug adapter portion for sale separately on Amazon or anywhere, not even on Belkin's own site. I can buy a whole new adapter with Euro Plug included on Amazon.de (Germany), but nowhere can I find just that piece for sale. (Neither does Amazon.de offer the adapter for American plugs). What's the point??? If I'd known I would've just bought a more compact one-piece charger. It was a great idea, and made me buy this particular charger. The interchangeable portion adds 1/2 in. to the charger's height, and makes it slightly wobbly if bumped when plugged in. Which is a completely acceptable tradeoff for being able to swap out plug types. But you can't find them sold separately, as was promised! 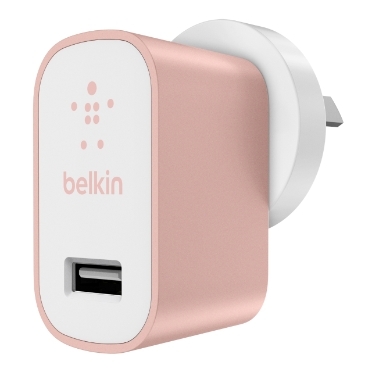 Belkin seriously dropped the ball here. Rated 1 out of 5 by Steve sims from Cheap. Worked for three days then stopped working Cheap. Worked for three days then stopped working. Rated 5 out of 5 by Dennis L from Switch for interchangeable plugs Push: when the switch under the prongs is moved it unlocks the plug set for removal & installation of a different configuration of plug for use in a foreign country that has different standard. Rated 5 out of 5 by Push from Feels very sturdy, Looks very Stylish Five Stars The best charger charger everything feels more sturdy (the nylon cord, the slightly less weightless of the adapters) and that sense of good material quality gives me a lot of confidence when traveling that something isn't going to go wrong.It works as expected and really does provide a boosted charge to my apple devices. It charges a lot faster than the standard charger provide with Apple devices i used anker,aukey fast chargers they all are just junk no use of them waste of money there is a switch located just below the electrical prongs but no idea what its function is Belkin should mention all specifications of this charger but no information on there website nor proper documentation when purchasing i hope they will update soon This Belkin "mixxit: has a 2.4 AMP rating which does the job. My only reason for making it a 5 star rating is the quality and finish overall it's very fast in charging i will refer my friends to buy this product only Belkin is so confident in this little protector, that it offers $2500 in compensation if you do experience damage from surges using this device. So while it's more expensive than the other charger brands out there, you are paying for these extra features. If your cheap device gets a surge and your iPhone is ruined, you'll reconsider the value of this charger. I am using the very attractive gray color Everyone in my home owns an iPhone; we sometimes fight over a wall charger. This one will remain permanently plugged into the wall socket above my kitchen counter. Everyone has been instructed on what it can do and not to remove it. 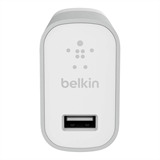 The Belkin MIX IT Metallic USB Home and Wall Charger would make an excellent gift for the tech savvy individual in your family who does a lot of traveling, domestic and foreign. it comes in a variety of metallic stylish, easy-to-coordinate colors.